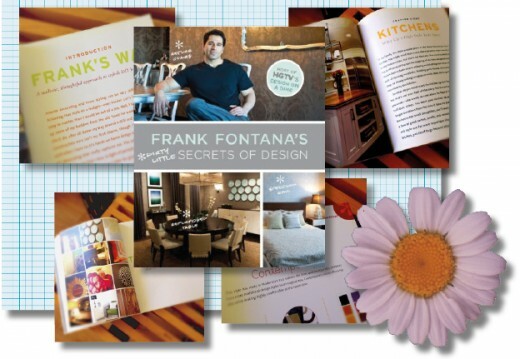 Please don’t misunderstand when I say ‘creating the perfect bedroom with Frank Fontana’. All I mean by this is that this designer can help you, via his tips, to create your perfect sleeping space. I do understand though. If you’re familiar with Frank’s TV show then you’ll know that Mr Fontana looks as though he would be the perfect addition to a bedroom (those biceps!) but I’m trying to keep my hormones under control here and talk about his design abilities. And I’ll try to get through this article without further reference to Mr Fontana’s hunkiness. As he says, so many people today have trouble sleeping and it’s easy to turn to medication to solve the problem. That’s all well and good but the right bedroom – with the right relaxing atmosphere – can help to promote the restful sleep you need. Not only that, waking up in your perfect ‘nest’ is a wonderful way to start the day. unattractive and has reminders of your busy working day then true relaxation will never be possible. Frank Fontana specialises in low-budget room makeovers so you can be sure that turning your room into a haven of relaxing won’t break the bank. Your room simply needs a new energy, harmony and balance. “A better bedroom means a better day, every day. Help yourself out by keeping serenity in and chaos out”.